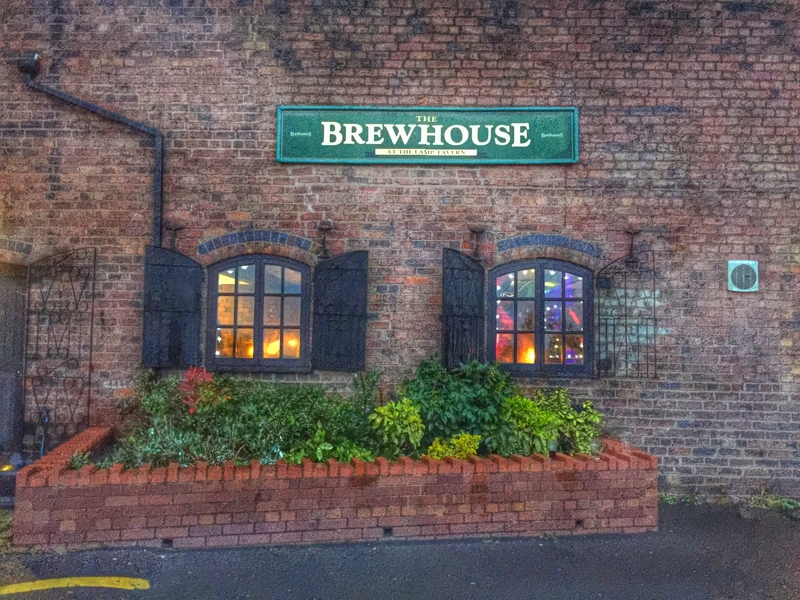 Post election fever, a weary wench felt the powerful pull of the Black Country boozer. Wench 2, chap and bloke took pity on a poor wench and agreed to put aside their own needs and desires to support me. Or, in other words, they jumped at the chance. After a long and disappointing night/day, we needed adventure. The Stourbridge suburbs just wouldn’t do. Staggering distance or a short taxi ride away just felt too safe. We needed to be brave. So, we off we head to Dudley. 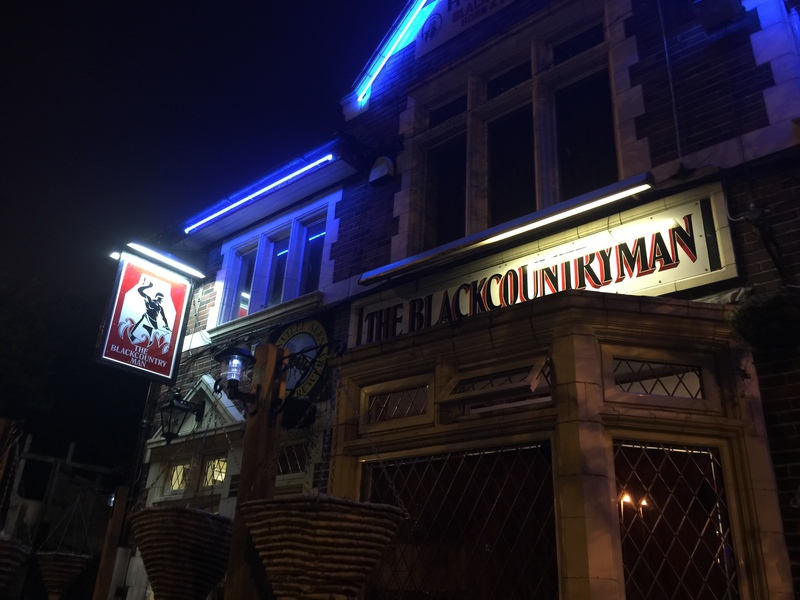 To The Court House, a Black Country Ales pub. 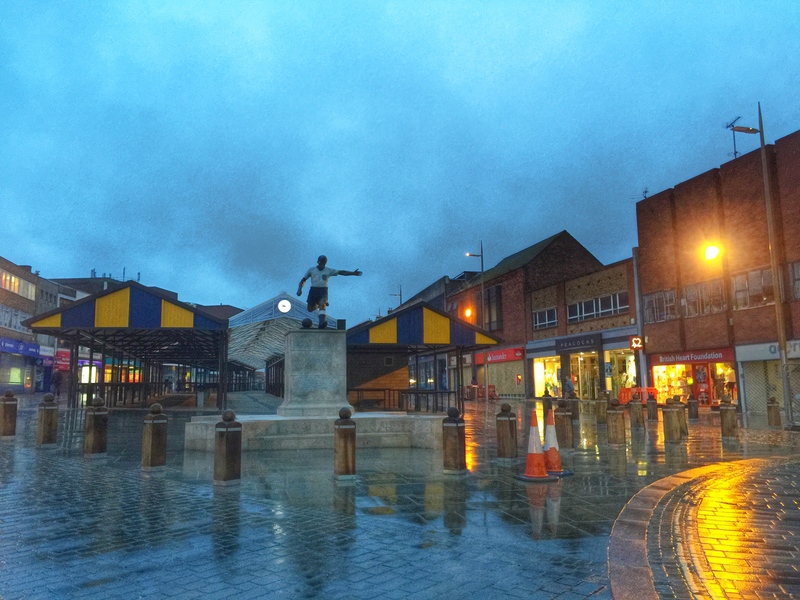 Although it looks like Dudley’s much-loved sporting hero Duncan Edwards is pointing the way, it was our resident expert bloke who suggested this first stop. 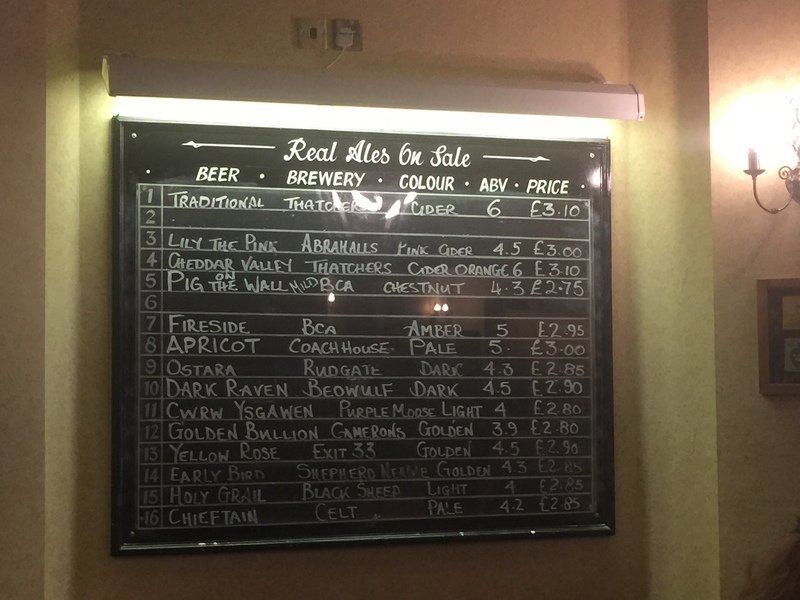 We settled down in The Court House’s huge open-plan lounge and perused the good selection of ales on offer. Wench 2 and bloke had the delightful Apricot Classic Bitter (The Coach House Brewery Company) and chap plumped for Yellow Rose (Exit 33). 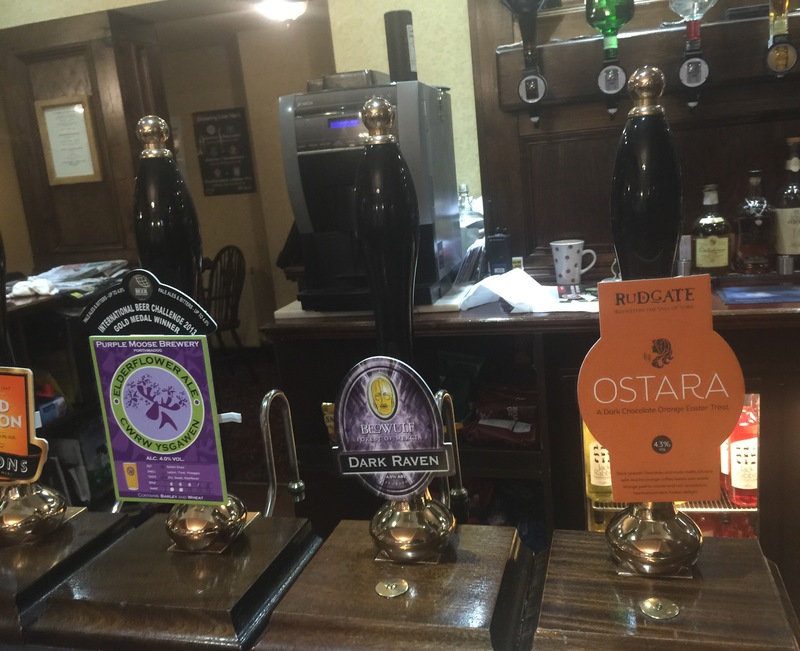 After a shifty sip of wench 2’s Apricot I became intensely jealous, however all was not lost when I spied Ostara (Rudgate). The description – a dark chocolate orange easter treat – was so enticing and I was thoroughly seduced. It went down rather well. I’m thinking of planning a return visit just to sample it again. Bloke also went a tad gothic with Dark Raven (Beowulf). 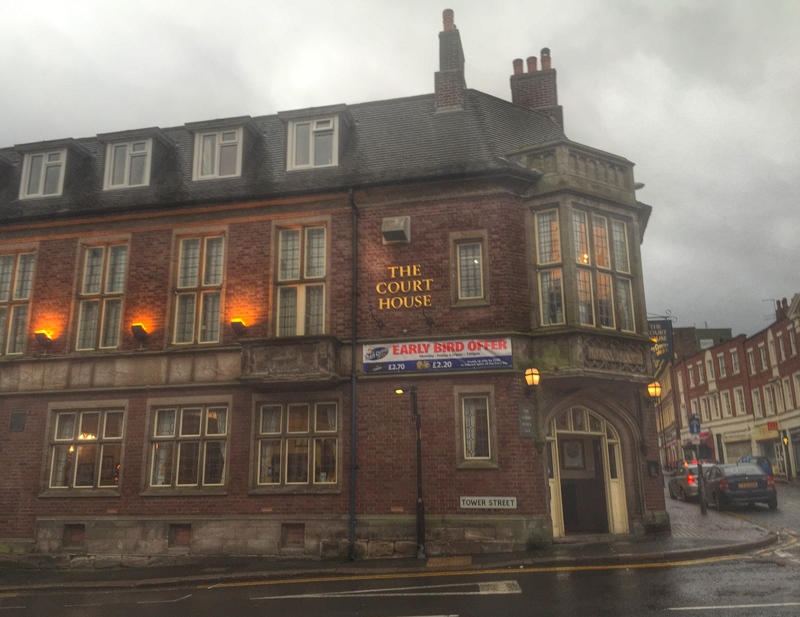 The Court House has a live music venue upstairs (The Baseline) so you can enjoy a few pints of ale before heading upstairs for the show. 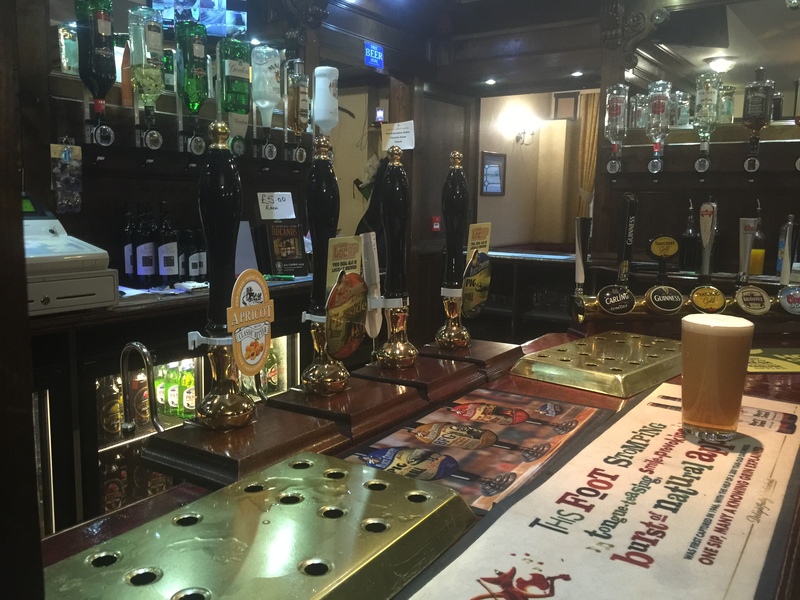 We weren’t tempted however, deciding to press on and set our sights on a familiar friendly face – a Bathams pub. The Lamp Tavern with it’s Bathams branding had a surprise in store. 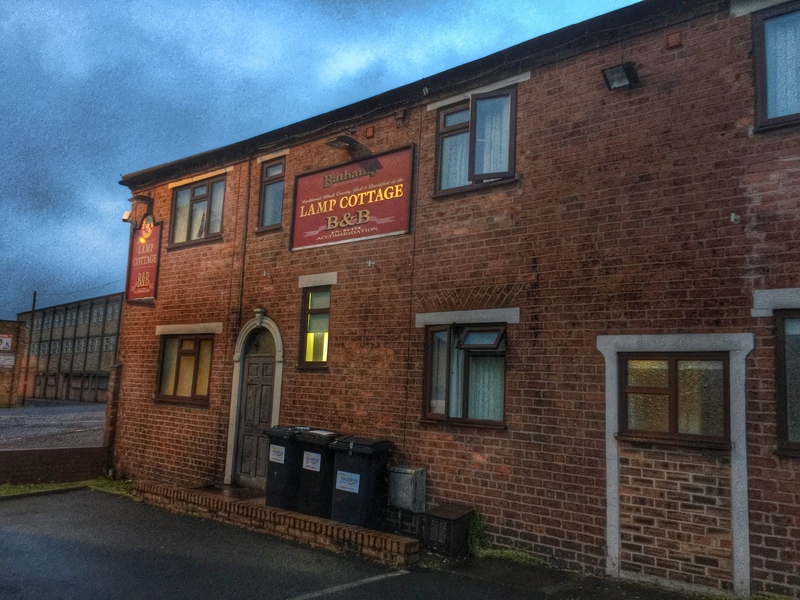 It has it’s own Bed and Breakfast, handy if you’ve supped one too many! 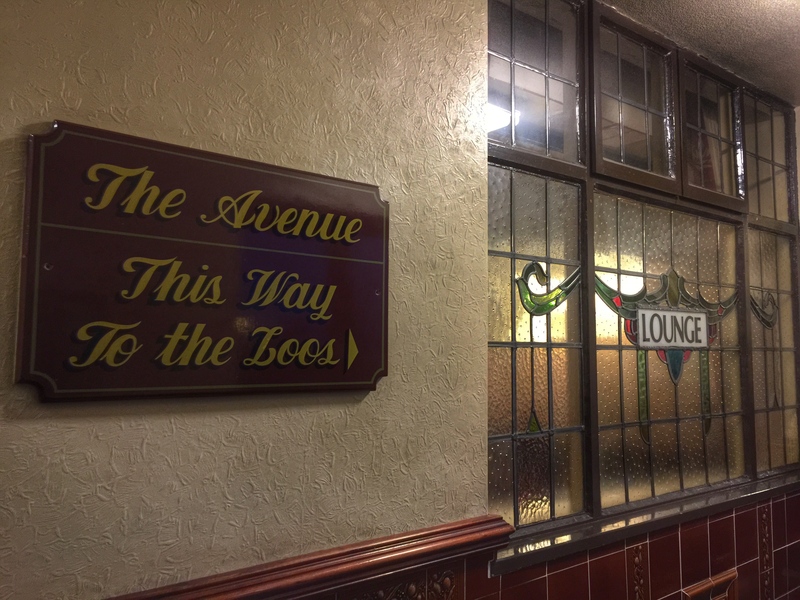 I was appreciative of the handy signage although it seemed that bloke and chap seemed to get lost before we’d even started, wandering down ‘The Avenue’ on their way to the toilets, whilst wench 2 and I stood pointing to the clearly identifiable Lounge area. It’s always the wenches that sort out the Black Country mon aye it? The Lamp was busy with a private party going on in the back, but we found ourselves a spot in the lounge to enjoy our Bathams Bitter (wench 2, chap and bloke) and Mild (me). I was a little worried when chap and bloke decided to head to the loos (separately I hasten to add) due to their earlier navigational issues, but Bathams think of everything, clearly marking the way in true Black Country style. …now I have to admit it’s not exactly what I was expecting. 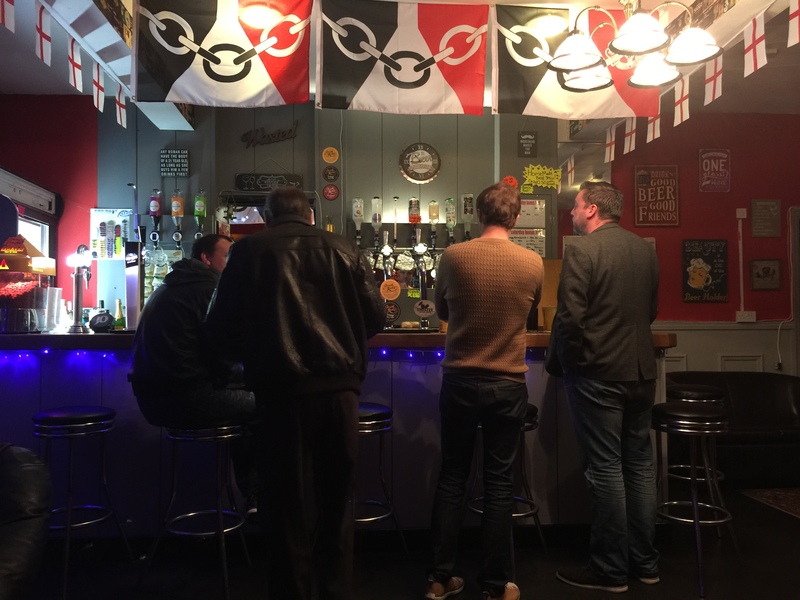 The bar doesn’t really have that traditional Black Country look that you’d expect of a real ale pub (at a quick glance the larger lounge seems slightly more so). 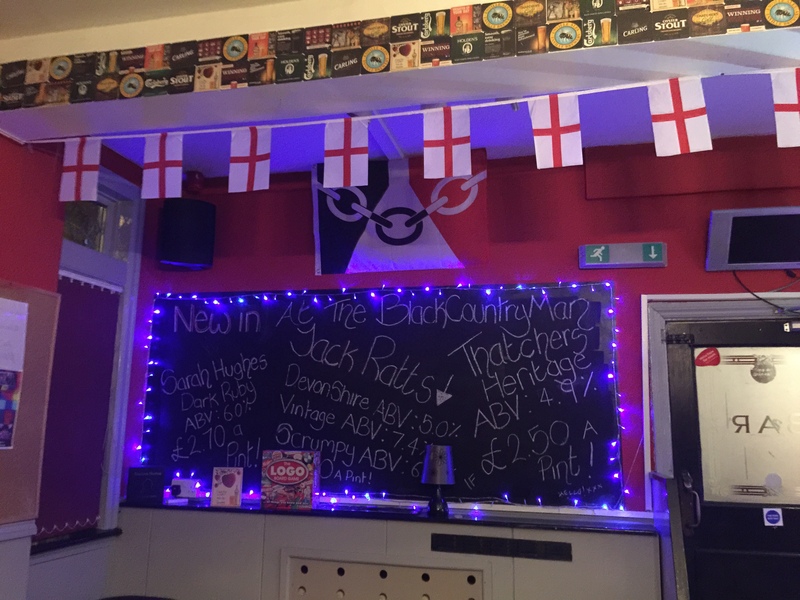 It’s a bit haphazard but you know what we liked it, and who doesn’t like a generous display of the Black Country flag? As wench 2 and I waited for our drinks I took this picture. 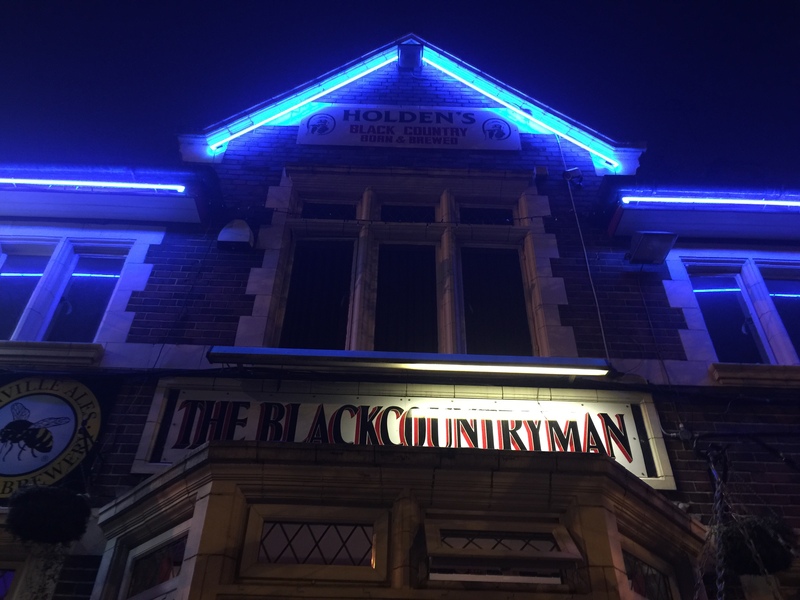 Fine Black Country mon in the Blackcountryman. It was time for a bit of Bumblehole (Olde Swan) action although wench 2 went for Oyster Stout (Marston’s). 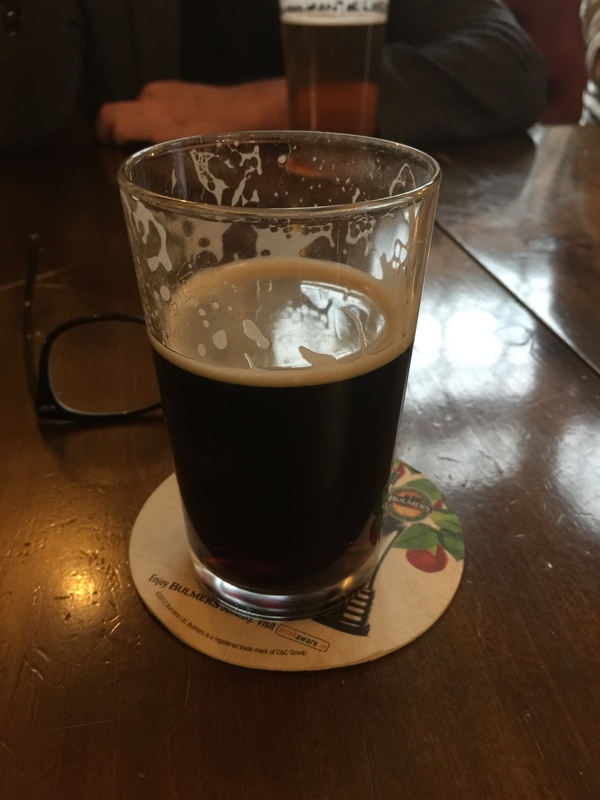 On a second, or third round bloke went renegade and chose cider – Whisky Cask (Thistly Cross). 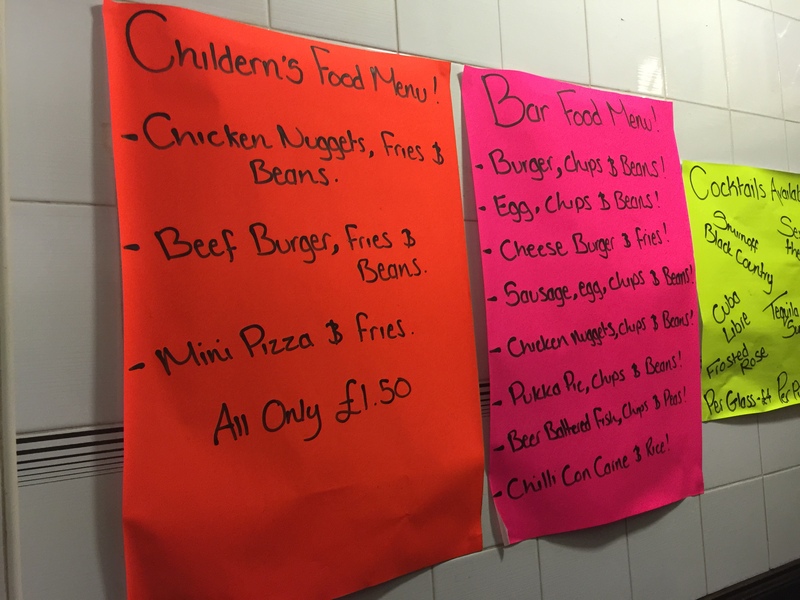 There was some ‘old school’ informative signage going on and we were a little tempted by the childern’s (sic) menu. The other room was host to a DJ/karaoke and we were having such a good time we joined in, but without moving rooms. I’d like to take this opportunity now to apologise to the other customers who had to endure us singing very loudly (and very badly) to an array of 80s and 90s hits. In particular, my rendition of a popular Fleetwood Mac song. When you can only remember one line, shouting out ‘You can go your own way’ across the bar could be misconstrued as verbal abuse. Thankfully no one seemed to take offence although I did notice that the fag breaks coincided with my ‘performances’. The wench can drink beer, but she cor sing, that’s a fact! We were enjoying The Blackcountry Man far too much so all plans to leave faded into the distance, along with my singing career. Seems I’ll be going ‘my own way’.